High quality teaching from experienced A Level Maths teachers with exam board marking experience. As a result, students can expect to learn "insider tips" on how to target the marks in an A Level Maths exam. A booklet of revision materials to work on and take away from the revision sessions tailored specifically to their own exam board and syllabus. To gain sense of purpose when it comes to their revision. We will help students identify what work needs to be done in order to achieve their full potential and we will equip them with all the materials needed to maximise the chances of a successful revision regime. Light refreshments (such as tea, coffee, water and biscuits) are provided at break times, but students should provide their own lunch. All of our courses are held at the Huntington Community Centre in Huntington, York. 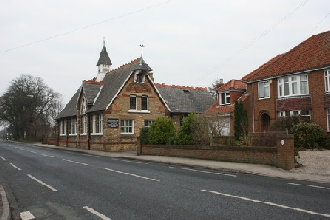 Formerly the Board School and later an infant school, Huntington Community Centre eventually became an annexe to Huntington Primary School, making it an ideally suited venue for our Maths Revision Courses. The venue is located at 26 Strensall Rd, Huntington, York, North Yorkshire YO32 9RG near the outer ring road (A1237) making it easily accessible by car or bus. Free on-site car parking facilities are available. The venue is within walking distance of some small shops should students want to go there during the breaks, however, it is recommended that students do bring their own packed lunch as breaktimes will be relatively short due to the intense nature of the revision course. Tea and coffee making facilities are available on-site and there is free car parking to the rear of the venue should students wish to drive.